What’s the difference between an acronym and an initialism? An acronym is a string of initial letters that are pronounced as a word, for example, AIDS, which stands for ‘acquired immune deficiency syndrome’. Some acronyms have become such an accepted part of the language that they are seldom spelt out, for example, scuba, sonar and Qantas. Indeed, most people struggle to remember what they originally stood for. An initialism is a string of initial letters that is not pronounced as a word, for example, FAQ, which stands for ‘frequently asked question’. In most instances, you need to spell out the full name of a term when you use it for the first time, then put the initialism in brackets directly after it. Fire and Rescue New South Wales (FRNSW) released its annual report. In practice, we refer to both acronyms and initialisms as acronyms. When should you use acronyms and initialisms? Acronyms are more useful in internal documents than on websites or in public documents. They are useful when the acronym is better known than the full term. For instance, if you were writing an internal document for Australian business readers, you might choose not to spell out well-known acronyms such as ASIC and APRA (Australian Securities and Investments Commission and Australian Prudential Regulation Authority). Acronyms are also useful when you use them several times in a document. They are less useful if you only use the acronym a few times. If you are writing a document that contains several different initialisms or acronyms, consider ways to avoid constantly repeating them. For example, environmental impact statement (EIS) could become the statement, and Program of All-inclusive Care for the Elderly (PACE) could become the program. Alternatively, you could provide a glossary of terms at the back. Many initialisms are written in capitals, but when you spell out the words, the normal rules of capitals apply. Let the spoken word be your guide when deciding whether to use a or an before an initialism or acronym. He made an STD call to talk to his mother. If an initialism or acronym can be pronounced as a word (NATO, UNESCO, ASIC), it does not generally need to take the definite article (the). Other abbreviated names are usually preceded by the. NATO has its headquarters in Brussels. The KGB is a Russian organisation. Most initialisms are made plural by adding an s. There is no need for an apostrophe. If an acronym ends with s, you add an s, not es, for example, SOSs (not SOSes). 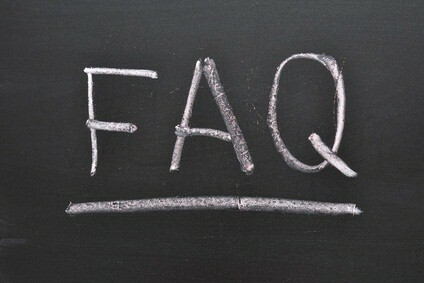 Apostrophes with plural initialisms (FAQs not FAQ’s).